When reserved flight attendant Bianca gets one look at billionaire hotel owner James Cavendish, she loses all of her hard-won composure. For a girl who can easily juggle a tray of champagne flutes at 35,000 feet in three inch heels, she finds herself shockingly weak-kneed from their first encounter. The normally unruffled Bianca can't seem to look away from his electrifying turquoise gaze. They hold a challenge, and a promise, that she finds impossible to resist, and she is a girl who is used to saying no and meaning it. 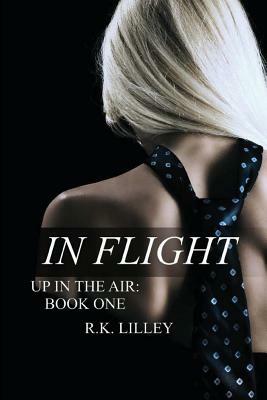 Bianca is accustomed to dealing with supermodels and movie stars in her job as a first class flight attendant, but James Cavendish puts them all to shame in the looks department. If only it were just his looks that she found so irresistible about the intimidating man, Bianca could have ignored his attentions. But what tempts her like never before is the dominant pull he seems to have over her from the moment they meet, and the promise of pleasure, and pain, that she reads in his eyes. This book is intended for ages 18 and up.